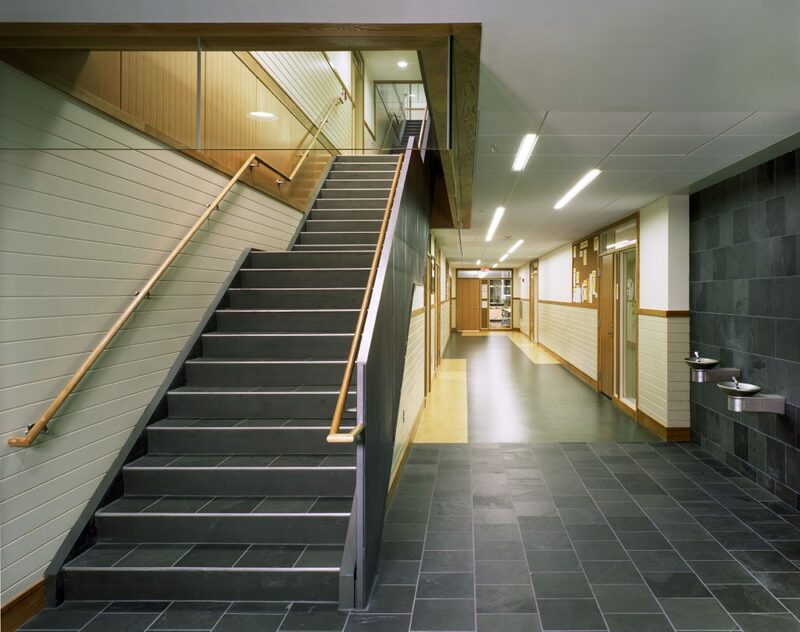 Having spent several years strengthening their curriculum and faculty, Tilton School wanted a building that represented the many positive internal changes. 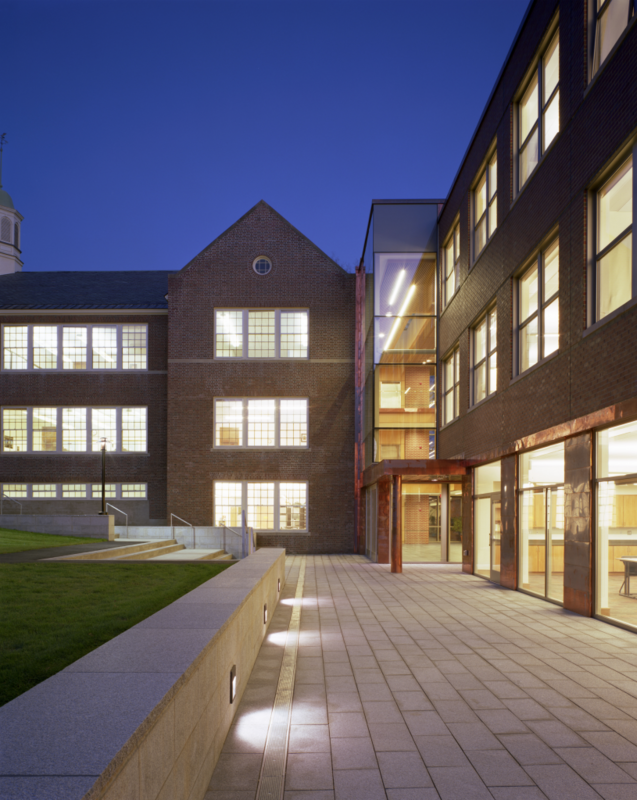 SSA designed a new multi-purpose academic building that organized the school’s program requirements to closely align with its academic mission. 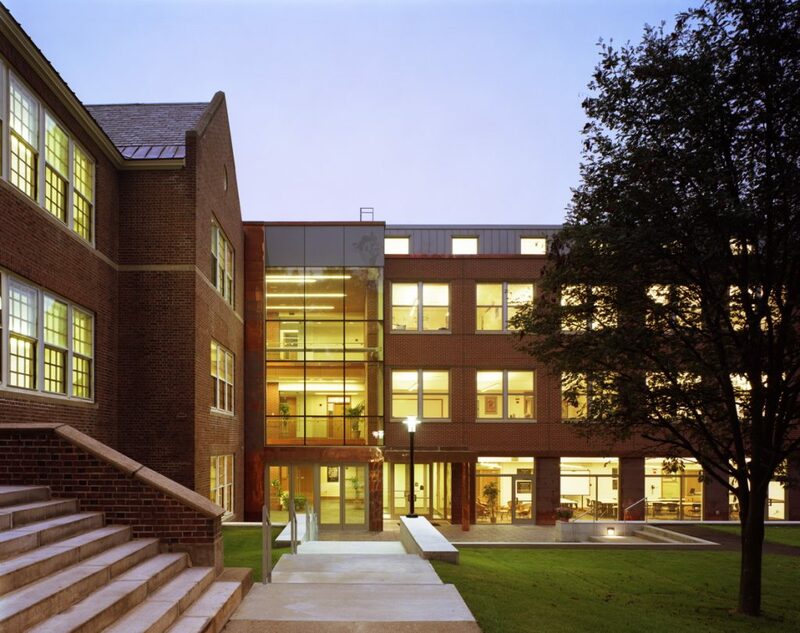 The program included three new science laboratories and prep rooms, a 114-seat seminar room, a Center for Learning resource center, a language laboratory, eight new classrooms, faculty offices, and administrative offices. To reflect the School’s academic model of horizontal integration, departmental classrooms and programs were located in close proximity to their companion classrooms and programs. Faculty offices and meeting rooms were merged to encourage closer collaboration. 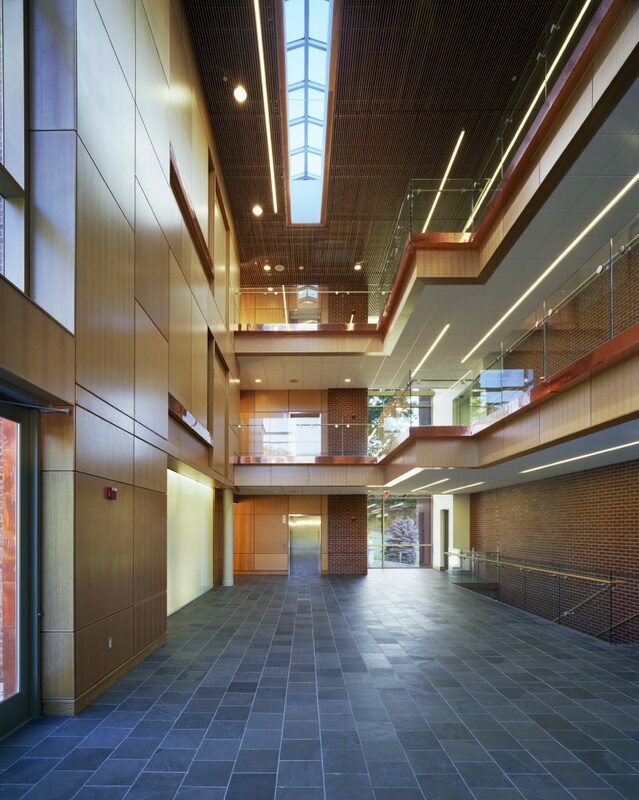 A dramatic, central atrium space, Tower Hall, visually and physically connects all the academic and administrative spaces to each other vertically, echoing the School’s commitment to integration. 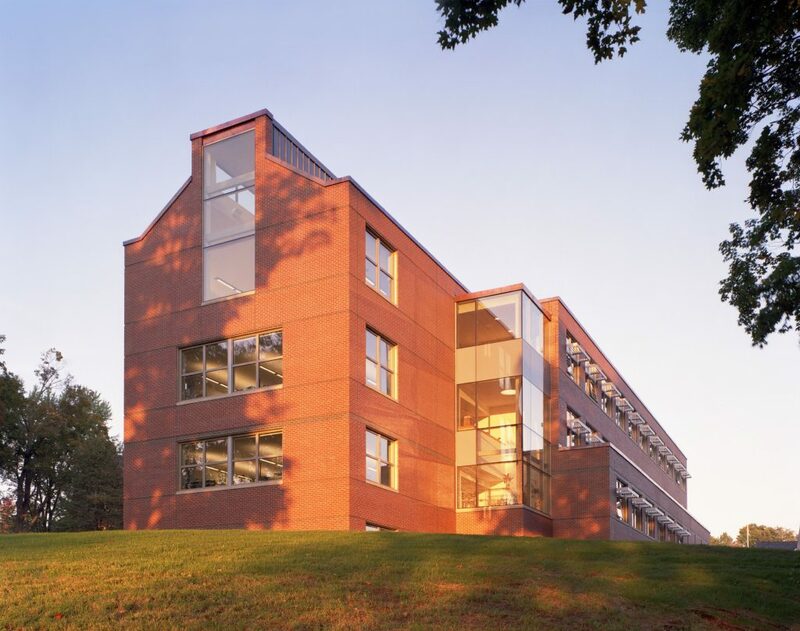 The exterior of the building was designed with strong references to the great academic and mill buildings of northern New England. 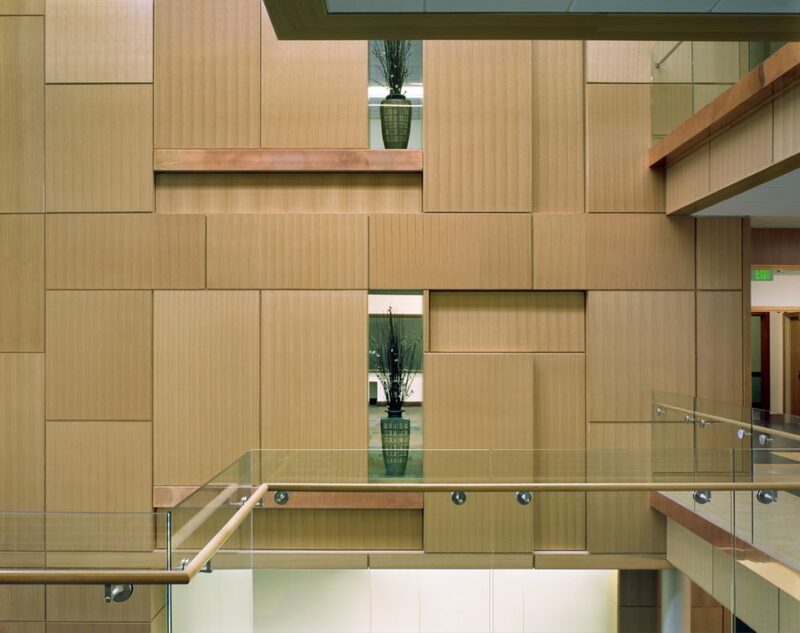 It is built of rugged, ageless materials: brick, granite, white oak, and glass. 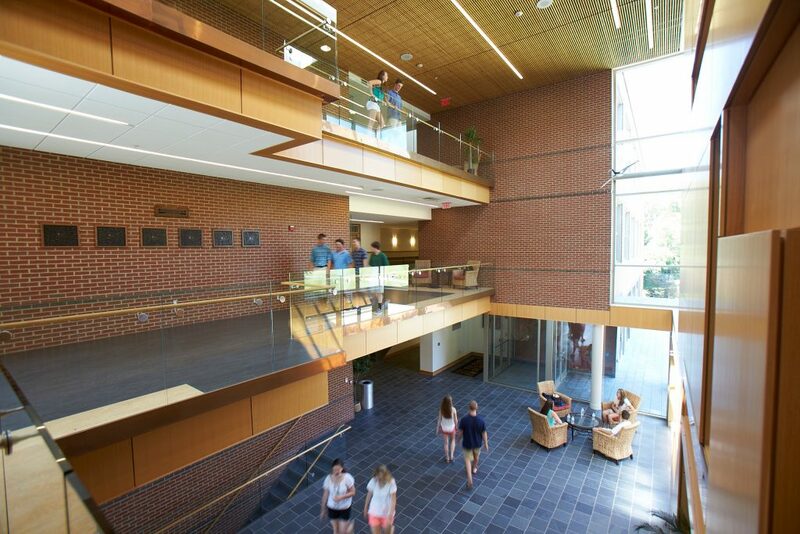 The new building connects to the existing administrative and academic building, Plimpton Hall, at the northeast corner, creating a unified academic/administrative complex and providing a clear definition for the Academic Quadrangle.